You will immediately feel at home the moment you walk through the door. It is estimated that 80% of people will experience back pain at some time in their life that is severe enough to cause them to miss work, or even worse, to miss play time. As we speak, thousands are home and in bed because of back pain. Missed work may mean kissing that raise good-bye or being passed up for that promotion you’ve had your eye on. Have you considered the consequences of the missed time with your family? Unfortunately, time is the one thing you cannot get back. This condition alone costs you the taxpayer, millions of dollars per year in lost work, compensation, and medical bills. It is time to address this problem and correct it before it takes control of your life. Back pain does not usually get better on its own it tends to worsen with age and the daily living habits that may have contributed to it in the first place. Despite the overwhelming support that Chiropractic is safe, effective as well as affordable; many people are still unaware of that Chiropractic may be the answer they are looking for to deal with their low back pain. 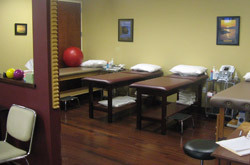 At Family Chiropractic Center of Nutley, the first office visit involves completing a medical history, simply a series of questions about you and your body designed to uncover any “hidden” problems that may be connected to your main complaint. Next, a very thorough postural examination is performed to accurately analyze your overall body alignment. This is followed by standard tests to see how your spine moves, and what effect different movements have on both your spine and your pain level. Your reflexes, your muscle strength and your ability to feel various types of touch are often performed. Your blood pressure, pulse, height and weight are recorded as well. The next step is a very precise structural x-ray examination to see the position of your spinal bones and to rule out any other possible diseases that may be affecting your spine. Once we have all of this information we can come up with a treatment plan that is unique to your situation. Together we will decide what the best approach is for you to achieve the results you desire. My goal is to serve as a teacher so that you have a complete understanding of what is going on in your body. You will be provided with the necessary information to make an informed decision. Welcome to our Therapy Bay. The treatment or adjustment consists of gentle precise forces that help move the spinal bones to their correct position. Often, ice packs are used to help the body control swelling and/or inflammation. I also use various specific exercises designed to retrain your spinal muscles to a more normal function. You may not realize that some of the things you are doing on a daily basis could be making your problem worse. Examples are sleeping, sitting, driving, and even exercising. We will review these activities and come up with workable solutions. The response to treatment in our office is overwhelmingly positive. I help people each day who, like you, were once trying to cope with back pain. Fortunately for these individuals, they have chosen to take steps in order to eliminate the pain and lack of function present in their bodies. They are on their way to regaining health and you can be as well. All of this is achieved naturally, without drugs or surgery, allowing your body’s own natural healing ability to flourish. Scientific Chiropractic care is the best choice for you and your body. 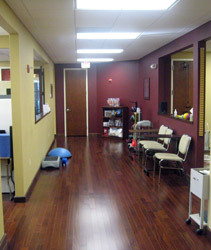 Call our Nutley chiropractic office today!